Since this week's Wednesday Stamp Club is almost over, I figured I should post the card I made for the challenge. It's been sitting on my desk for well over a week now. I inked up the fabulous Timeless stamp set for this card. 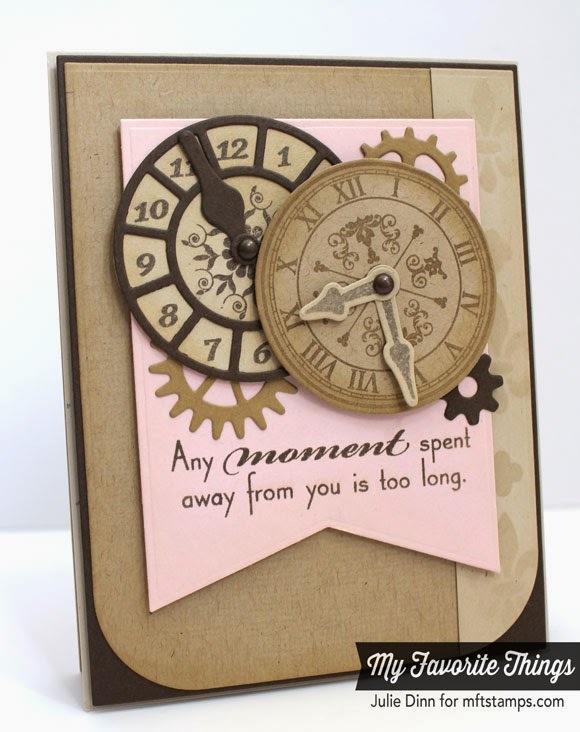 I stamped the clock faces on Natural and Kraft card stock using Chocolate Brown and Kraft Hybrid Ink. The Time Pieces Die-namics added the finishing touches to the clocks. 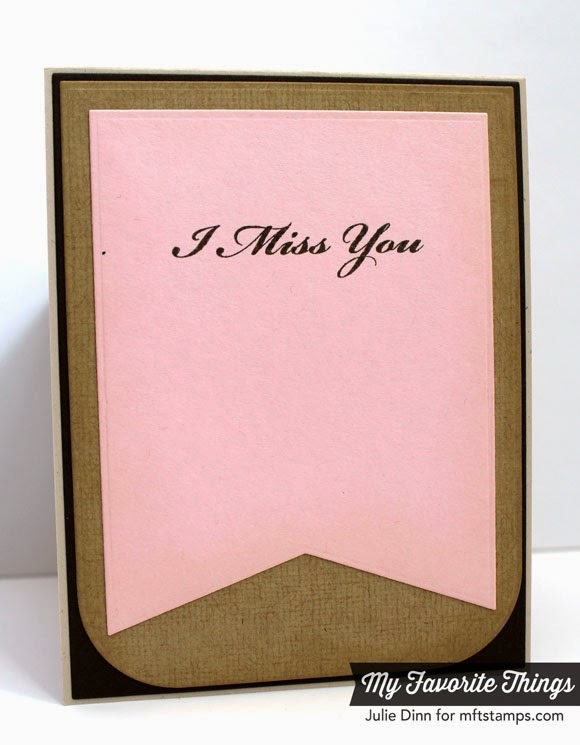 The background was stamped with the Linen Background stamp. This stamp seriously has not left my desk since it came out! Along the right hand panel, I used the Fluer-de-Lis Stencil and Natural Ink to create the patterned paper. The sentiments are from the Inspired by Time stamp set. Be sure to check out the MFT Blog to see all the gorgeous creations our MFT fans and the DT have created. I'll be back later tonight for the beginning of the new release countdown!